One of the more underrated tire company’s based in the U.S. is Cooper Tires. They have been making all types of tires for several years and finding cheap Cooper tires does not mean sacrificing quality. 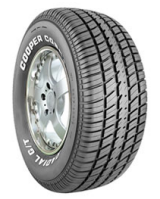 Here is a look at a few of the Cooper tire models and what you can expect from them. For the budget minded car driver who is looking for cheap a Cooper tire, the GFE Tire is designed with you in mind. First, it comes with a 60,000 mile treadwear warranty which means you can expect years of trouble free driving ahead. Next, the Cooper GFE tire features a unique design that actually minimizes the rolling resistance to help improve highway gas mileage. This can help put more dollars in your pocket over the years. As far as handling and traction on the road go, this Cooper tire grips the road well in either wet or dry weather driving. For those looking for both quality and affordability, this is one tire to check out. For those looking for tires that are more on the high performance end, the Cooper Cobra Radial G/T is one of your options. 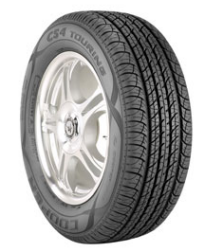 Featuring a classic “muscle car” look to it, this is an all-season high performance tire. This tire comes in all types of low profile and standard sizes to fit most any vehicle. There is raised white lettering to finish off the classic car look. Even better, the Cooper Cobra Radial GT comes with a 50,000 treadwear warranty. It is a worthy choice among muscle car owners seeking a cheaper tire. If you are looking for a low cost winter driving tire for your ride, the Cooper Weather-Master winter tire fills the bill. Designed specifically for ice and snow driving conditions, this tire comes complete with a studable design if you are seeking even better traction on any road. Fitting both foreign and domestic vehicles, the tire comes available in a variety of sizes. Ride and handling capabilities are about average for this type of winter tire. But if you need a good tire for everyday use in challenging winter weather conditions, this is a solid performer. These are only a few of the many Cooper tires that you can find reviewed on our site.